This 1945 pen and pencil are both Parker 51s. 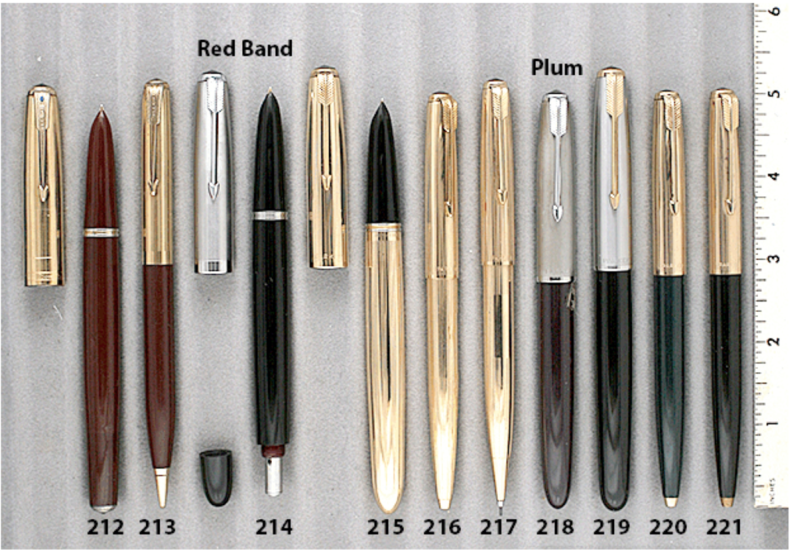 The fountain pen is a 51 Vacumatic-fill in Cordovan Brown. 1/10 16K G/F Cap with Pinstripe Panels and Chevron band. User grade; some color fading on the barrel and shell, otherwise near mint. The saving grace is the wonderful extra-smooth, medium nib! A great user grade writer. Matching 1945 Parker 51 twist-activated pencil in Cordovan Brown. Items #212 and #213 in Catalog #84.